My lunch today! I won a Domino’s $5 gift card from Quikly a couple days ago, so I took advantage of it today. 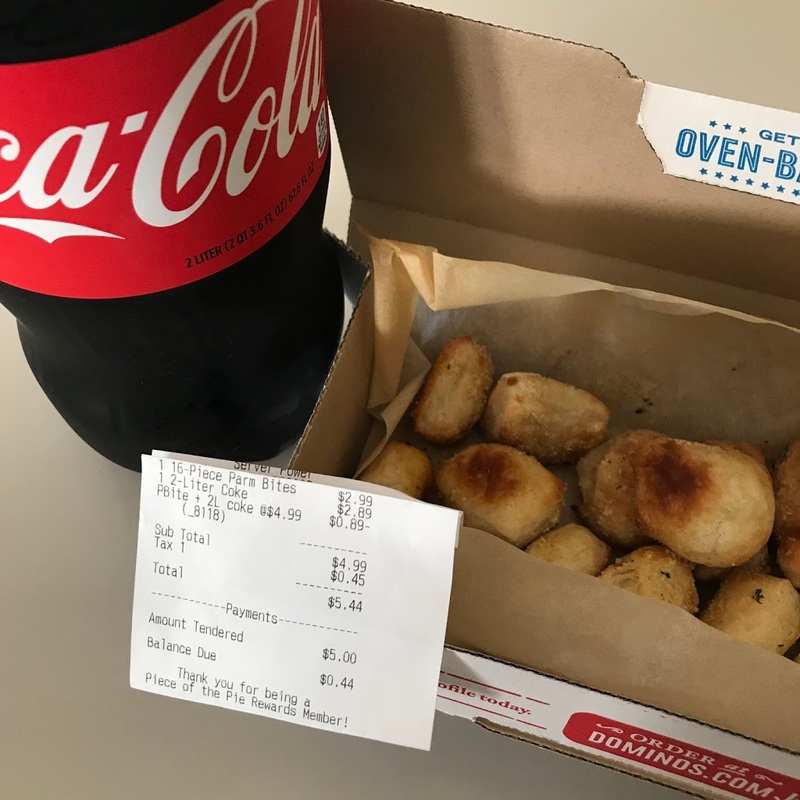 Ordered a 16pc Parmesan Bread Bites & a 2-litter coke for only $4.99! After applying my gift card, it only cost me $0.44. I basically only paid tax. I love promotional deals!